Home / Avogadro / chem / chemistry / Discovery / education / explanation / fundemental / Guides / ideas / information / informative / laws / Moles / notation / proportions / Science / Who Invented the Mole? The concept of the mole rests heavily on the work done by Amadeus Avogadro in the early 1800s. He came up with a hypothesis which read "equal volumes of gases at the same temperature and pressure contain the same number of molecules regardless of their chemical nature and physical properties." This hypothesis basically assumes that their is a given number of molecules in a certain volume. This proportion forms the basis of the mole concept, which is a way to convert molecules to a measurable unit. If you have 6.02*10^23 molecules, then you have a mole and vice-versa. Estimates for this proportion were first presented in 1865 by Josef Loschmidt. His estimate was incorrect, yet more than 40 years later, in 1908, Jean Baptiste Perrin determined an accurate estimate. In honor of the work done by Loschmidt though, the number was originally named Loschmidt's constant. 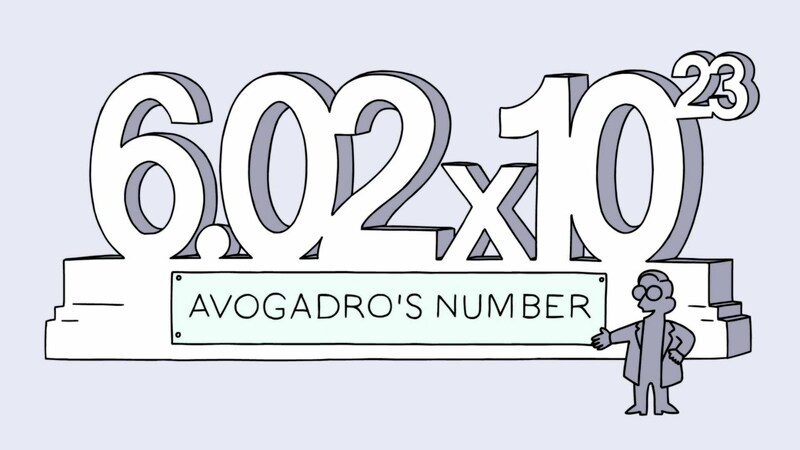 This number, 6.02 x 10^23, was determined to be the number of molecules in one mole of a gaseous substance. August Horstmann, a German chemist, was the first to explore this relationship between moles and grams and introduced his findings to the scientific community in 1881. While gaseous substances all had the same number of molecules in a mole, solids and liquids vary based on the substance. The term "mole" itself was introduced in 1897 by Wilhelm Ostwald, who defined the constant as "the amount of gas which occupies 22.414 liters." The word "mole" was based off the German word "Molekül". After Perrin determined the correct constant between molecules and moles, chemists could relate molecules to moles to liters of gas. This was an exciting development that led to further innovations. Thank you for reading this article!